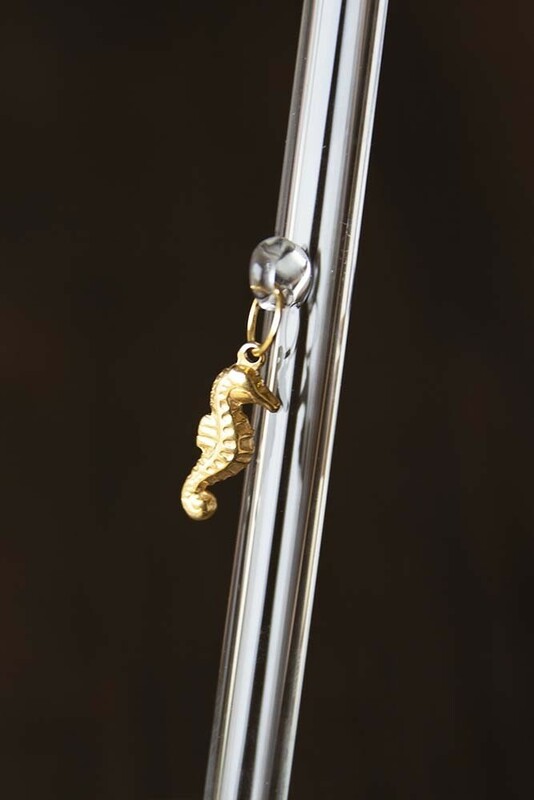 A re-usable and eco-friendly alternative to plastic straws, the Set of 4 Glass Drinking Straws feature 4 unique Sealife animal charms of a golden seahorse, starfish, crab and turtle, perfect for embellishing your favourite, cocktail, fizzy drink or spicing up your glass of water. 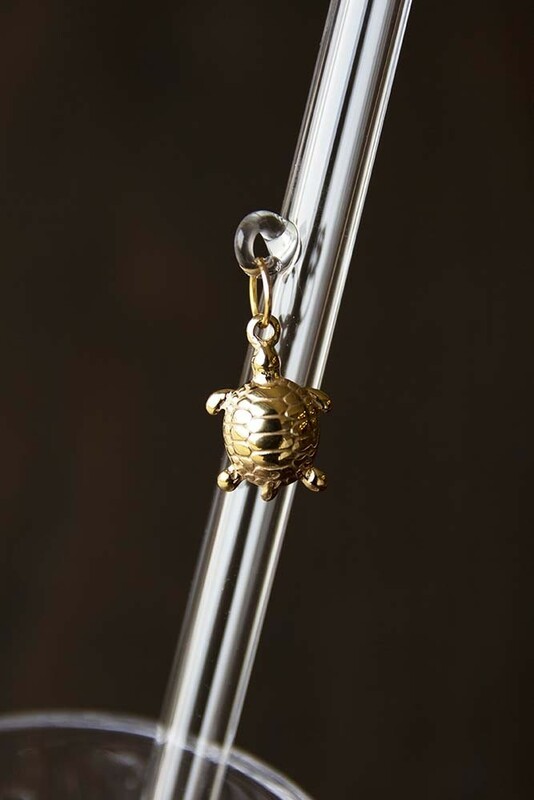 Made from glass the Sea Life Drinking Straws measures 22cm in height with a diameter of 0.9cm. The Set of 4 Plastic Straw Alternatives comes beautifully displayed in a box, that is ideal for gift wrapping. 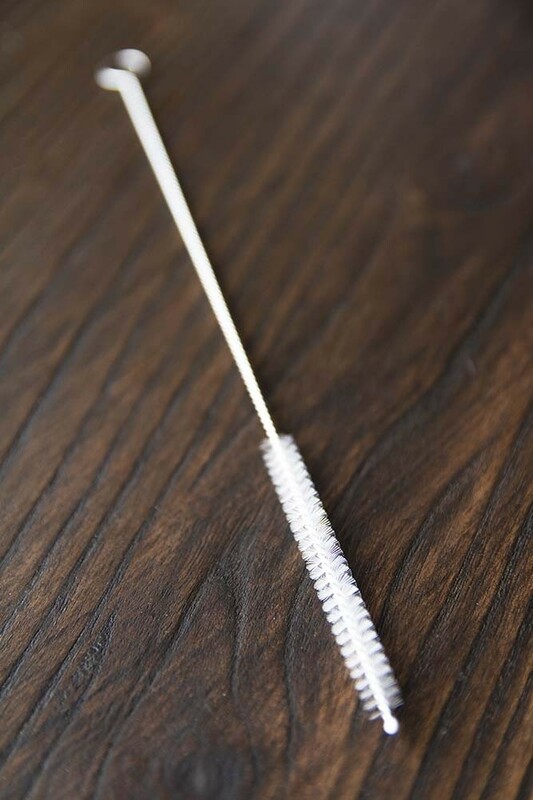 We are all well-aware of the effect that single-use plastic is having on our environment, oceans and wildlife and so we wanted to help make a positive change to this problem by sourcing unique drinking straws that you can reuse. We think that you will particularly love these drinking straws because they are made from glass. Drinking from glass is so much nicer than drinking from plastic, plus when you are finished with the straw you can simply wash it up ready for its next use. 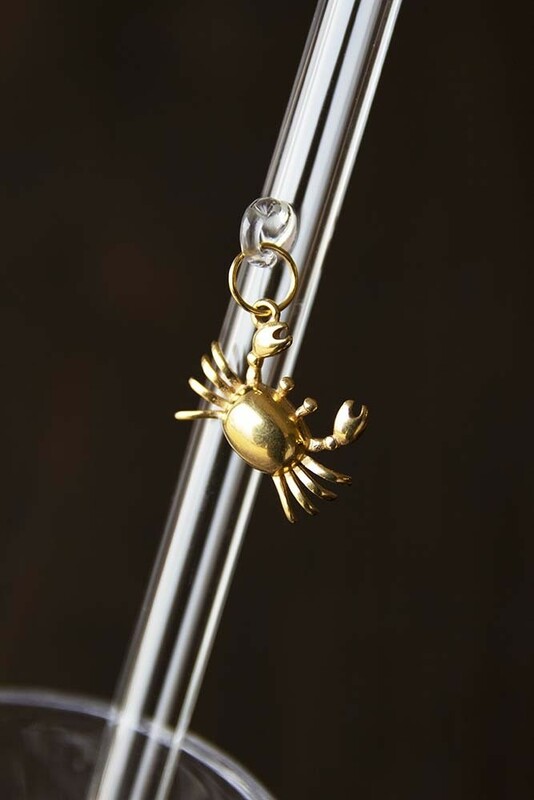 Even better, each straw features either a golden seahorse, crab, starfish or turtle charm attached to the straw which is particularly useful for parties to help your guests know which drink is theirs! A kitchen or bar essential, when not in use we recommend styling these beautiful in a glass or a container on your kitchen shelves, counters or island for all to see! 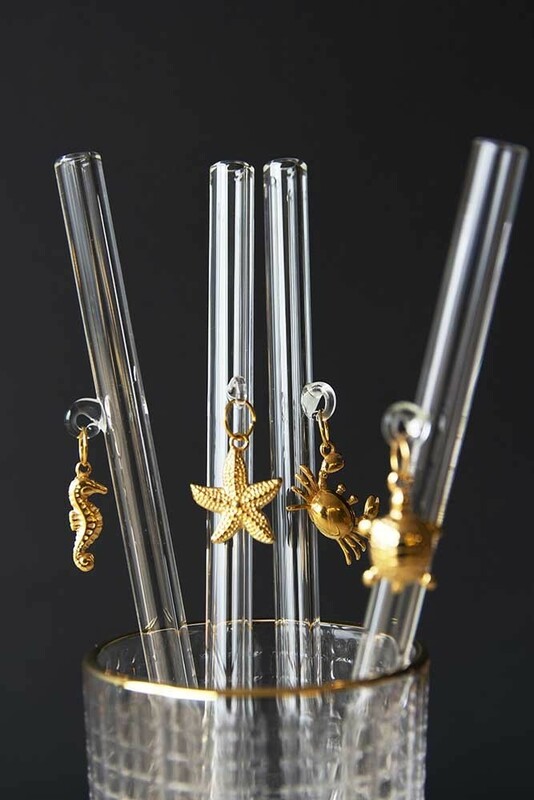 Mix and match with our Animal and Quirky Charm Straws for added fun. 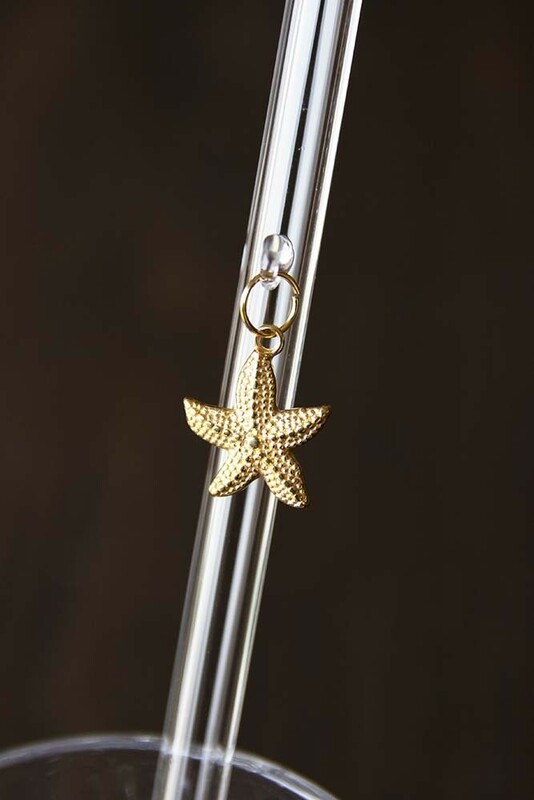 You could even gift these beautiful sea creature motif charm drinking straws to encourage your friends and family to cut back on their single-use plastic consumption. As mentioned, these straws will not damage the environment or our eco-system in the same way as disposable single use plastic straws do. So, if you are looking for more ideas to reduce waste then check out our blog – Top Alternative New Years Resolutions – Idea 3 for inspiration on this topic.